The role of the CIO has changed more in the past five years than any other position in the business world. IT success used to be measured on IT metrics such as uptime and performance of the infrastructure. Today, the goals of the IT leader are aligned with the goals of the business (Exhibit 1), causing IT to be redefined on all levels. CEOs are tasked with creating an agile business—that is, a company that has the ability to respond to competitive pressures immediately. 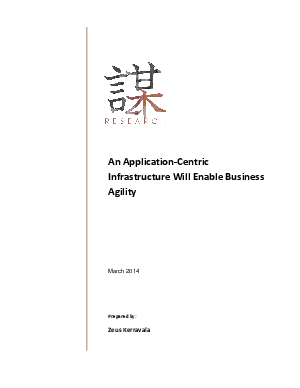 Business agility requires application agility, which—in turn—requires IT agility. This means the IT department needs to provision applications and services in hours instead of the months it takes today. Additionally, businesses are shifting from delivering systems of record to delivering systems of engagement. Customers engage directly with the business, and these systems must be responsive as customers and market forces change.